HeadingThe brand more dentists use themselves. 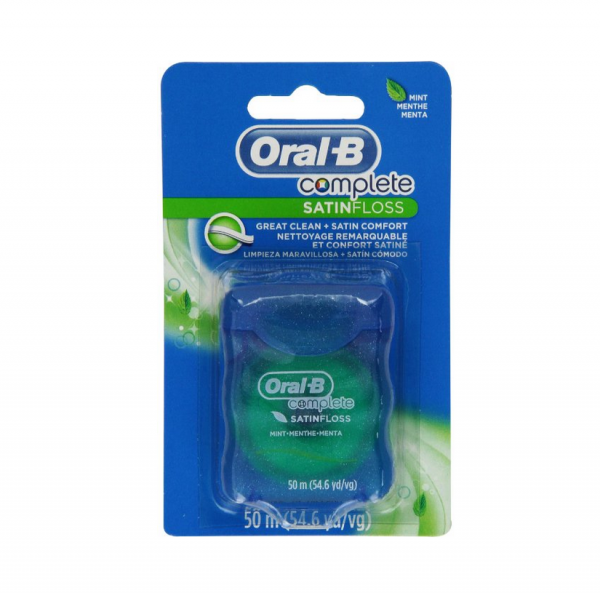 PurposeDental FlossManufacturerP & G-HealthDirectionsWind 18 in. (or 45 cm) of SATINfloss dental floss around middle fingers. 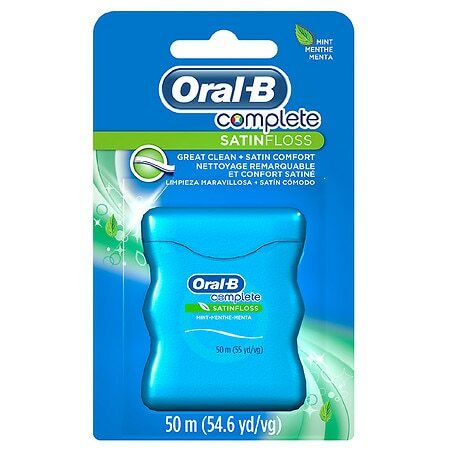 Oral-B Complete SATINfloss Dental Floss Mint - 55 yds.